The O.S.T. Show 3/4/19 – Radio for the People, by the People. 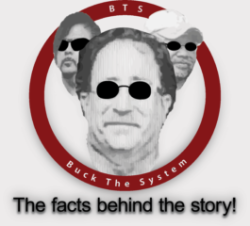 The Opinionated Sports Talk Show (The O.S.T. Show) w/ Your Boy Brian on FccFreeRadio is the most exciting, entertaining and controversial sports talk show on air! DON’T MISS IT!! My guest this week boxing and fitness trainer, training out of Virgil Hunter Gym, Jeff Real joins me. He brings his impressive resume that includes training Boxing Olympic Gold Medalist Estelle Mossbly Yoka for her upcoming bout. French title holder at the middleweight division, Souleymane Cissokho. We talk about his career, his future plans and his upcoming fights. MLB: Bryce Harper passes on more money per year and signs 13 year $330 million dollar contract with the Philadelphia Phillies. San Francisco Giants CEO Larry Baer has public argument and wife gets “knocked” down. Decides to step away while MLB investigates altercation. More on the Golden State Warriors and Boggie Cousins and Warriors to sign Andrew Bogut. I’ll tell you why winning their 3rd NBA championship in a row will affect Kevin Durant staying in Golden State. LA Lakers have not found their identity while trying to make a run to make the playoffs, and signing Carmelo Anthony will not help. Is it true? Raiders willing to trade Derrick Carr, draft Kyle Murray?